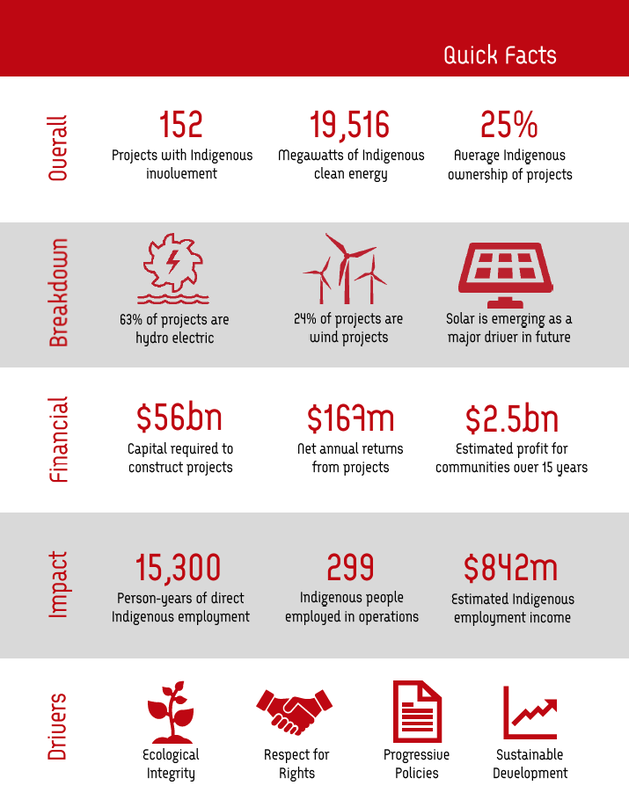 In a first of its kind report, Lumos Clean Energy Advisors released the results of a national survey of clean energy projects with Indigenous participation. The findings are impressive to say the least. Indigenous participation in Canada’s burgeoning clean energy economy has risen rapidly over the past two decades, especially the last 10 years. There was a dramatic rise from 26 projects in operation in 2008 to the 152 projects that generate energy today. These are only medium-large projects (over 1MW in size). There are another 1,200 small projects in Indigenous communities across Canada. These projects represent nearly one fifth of Canada’s overall electricity production infrastructure. Enough to power 7.5-9.5 million homes. Communities were involved in these projects as owners or partners, or had Impact Benefit Agreements, lease agreements, revenue sharing agreements, etc., with project developers. Participation in these projects has had significant employment, economic, and social benefits for communities involved. Building these projects created an estimated 15,300 person-years of jobs for Indigenous community members. This translates into roughly $842 million in employment income. These jobs come in the form of direct employment such as: construction workers (ex. heavy equipment operators, iron workers, electricians), environmental monitors, site security, etc. They also include spin-off opportunities like catering, camp services, and more. While some of the jobs are limited to the construction the projects, the experience gained by community members has allowed them to find employment on other projects in their regions. Beyond this, nearly 300 individuals, now have long term careers operating and maintaining the projects. The investments and agreements made by communities are now yielding huge returns. After paying off any debt requirements, these projects are earning a total net returns of about $167 million per year. Over the next fifteen years it’s expected that total profits will be around $2.5 billion. This revenue and the employment from the projects, has helped create more self-reliance in communities. They create own-source funds to use towards education, healthcare, elder facilities, and other pressing needs. 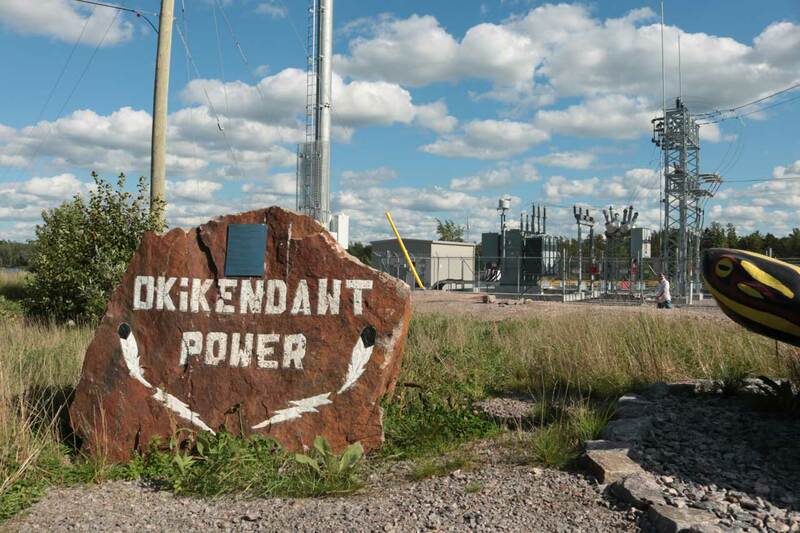 As Chief Jim Leonard of Rainy River First Nation says: “Solar is powering a more socially and economically stable future for our people.” Rainy River wholly owns a 25 MW solar farm just outside of Thunder Bay. These outcomes only start to hint at the importance of the findings of the survey: That these projects represent powerful, tangible steps on the path to reconciliation. Project partnerships often represent a recognition and respect for Indigenous rights and territory. With the active involvement of Indigenous communities, traditional knowledge and values become engrained in the project’s design and implementation – helping to minimize environmental impact. And respect-oriented relationships can strengthen the economic basis for healthy communities, long term prosperity, and sustainable livelihoods. But this good news story is not over yet. Over the next 30 years, Canada will be going through a significant transition as it moves towards a low-carbon future. This will open vast new opportunities for new renewable energy projects but also other areas of the clean energy economy like electric vehicles, smart grids, and more. It’s important that we build on the success we’ve seen here with these 152 projects. Collaboration and shared learning is needed to ensure the clean energy future also continues down the path of reconciliation. Indigenous rights, values, and leadership must continue to be integrated as the sector expands. To help make this happen, we’re working with a range of partners on initiatives such as the 20/20 Catalysts Program and the Indigenous Clean Energy Network, to foster Indigenous leadership and promote collaboration between all those involved in the sector.